As part of our own Continued Professional Development and to ensure our trainings are the most up to date we attended Las Vegas in July 2011 and assisted Drs Tad and Adriana James, as Coaching Assistants, running their FasTrack Master Practitioner Training. 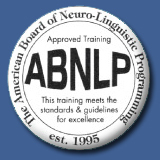 We brought back with us the latest techniques and information that Tad and Adriana had introduced for 2011 making our training the most up to date and innovative ABNLP NLP Master Practitioner Course that you will find in the UK. 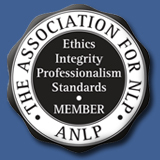 We are the only NLP training company in the UK that can give you this training exactly as currently run by Drs Tad and Adriana James. Other UK companies are out of date and will insist on pre-course study which consists of a set of Master Practitioner CDs, this adds expense to the price of your course and is unnecessary. Tad and Adriana do not give additional CDs, as the content of the programme has moved on and the CDs no longer fit with the course material, as originally designed, so confusion can result. If you are being given a set of Master Practitioner CDs as part of pre course study you need to ask yourself, 'What other information being supplied to me is out of date?'. You can buy the CDs after the training as a useful post course resource however they no longer form part of the training. Join Mark and Nicky for the next step in your NLP journey, taking your development to a whole new level. This means that your use of NLP together with the associated techniques that you have already learnt, and the new techniques that you are going to learn, will become so much easier and more graceful. This is the latest amazing 5 certifications in one NLP training, using the proven accelerated format created by Dr Tad James the co-creator of Time line Therapy™. Yes, at the end of this course you will be Internationally Certified at Master Practitioner level in NLP, NLP Coaching, Time Line Therapy™ and Hypnosis and receive Certification (Intro level) in Dr. Clare Graves' Values System. If you want to take your own Personal Development to the next level of thinking this is the course for you. 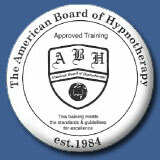 We also recommend that if you wish to practice as a Coach/Therapist that you attain this level of Mastery. This will give you increased flexibility and credibility with clients and allow you to produce even more exceptional results. To be eligible for and to take full advantage of the development opportunities offered by this course you need to be certified to Practitioner level in NLP, NLP Coach, Time Line Therapy™ and Hypnosis to the standards recognised by our certifying bodies. If you do not have any of these certifications contact us and we can help you achieve them. Is it possible to learn it all in 14 days? What does the course consist of? The FasTrack™ accelerated training format was designed by Dr Tad James who has been at the forefront, leading in the development of NLP over the last 30 years. 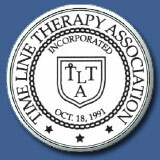 He designed the course using the technology of NLP, Time Line Therapy™ and Hypnosis to enhance the learning experience and allow you to learn quickly, easily and effortlessly. That is how it is possible to be certified in two modules of 7 days. A second module of 7 days live training which includes your assessment and certification. Mark and Nicky add to this by providing pre and post course coaching support in order that you achieve your goals and have a fully integrated Personal Development Programme. On enrolling with us you will be sent either Mark or Nicky's personal email address so that they can assist you with establishing your goals for the course. You need to be competent with NLP Practitioner information and skills in order to participate successfully in the FastTrack NLP Master Practitioner Certification Training. You should have a good understanding of basic NLP terms (i.e. Calibration, Rapport, Sub-Modalities, Anchoring, etc.) You are not expected to be an expert in these techniques, but you should be competent enough to participate fully in the Master Practitioner exercises for your own benefit as well as for those with whom you work. This will greatly facilitate the learning progress of everyone, so your preparation is very important. You will also be sent a test to complete. This test is an open book test some of which can be completed before attending the live training and the remainder during the live training modules. During this part of the course Mark and Nicky will be available to you either by email or telephone to coach and support you. On attending the first module of 7 days live training, Mark and Nicky will build upon the pre-course study with fun and engaging sessions which will take you through to practical application of all subject areas. The training day will usually start at 0930 and finish by 1800hrs. From day 2 Mark and Nicky will offer tutorial sessions either at the start or the end of the day where you can have further training in any of the areas covered both at Practitioner and Master Practitioner level. We offer this as an extra service as we want you to go away exceeding the standards laid down by the ABNLP and for you to be confident in being able to practically apply what you have learnt. The course content is structured from simple to complex and each subject builds on the previous one. Every technique is clearly demonstrated so that you are successful in practising them with the other course delegates using the support of Mark and Nicky. After finishing module One and before returning to complete module Two, you will complete a modelling assignment. This will involve identifying someone who has excellence in a skill or behaviour and installing it in yourself. You will then train the rest of the group in what you have modelled when you return on module 2. Modelling is the basis on which NLP is built and is a fantastic skill to learn. On attending the second module of 7 days live training, Mark and Nicky will again build upon the pre-course study and the module will follow the same structure and format as module 1, with extra tutorials being available to refresh Practitioner subjects or aide understanding of Master Practitioner subjects. The last two days of the module are spent conducting Personal Break through sessions where you will go through the full Coach/Therapist to Client process putting everything you have learnt into application. This is one of the most incredible experiential learning events that you will ever encounter. It will make you feel totally confident in your abilities as you hear and see everything coming together. During both modules of the course and for the modelling project you will be assessed for Certification against the relevant Associations standards. At the end of the course we will review your goals with you to ensure that they have been fully met, as your success is our success. We will then encourage you to set new and challenging goals to take your development further. Once you have set those goals we offer you post course coaching and support to assist you in achieving them. This also includes the offer of attending further Practitioner and Master Practitioner courses free of charge so that you can either assist us as a Coaching Assistant or refresh your skills, either way that will take your development further. You can see that we offer a full development process rather than just a training course. We have devised this format using our years of experience in the Learning and Development field so that you become Excellent Master Practitioners of NLP.